If you’re upgrading to iOS 8 on Wednesday, you must resist the urge to upgrade to iCloud Drive if you want to continue to sync your phone to your Mac. Why? Well, iCloud Drive only works with iOS 8 and OS X Yosemite. And you all know which OS we’re still waiting on. Until Yosemite drops, upgrading to iCloud Drive will keep you from syncing devices running iOS 8 and devices running OS X Mavericks. Good news: After you install iOS 8, Apple will ask you if you want to upgrade to iCloud Drive. Tap the button that says “Not Now.” Easy enough, right? 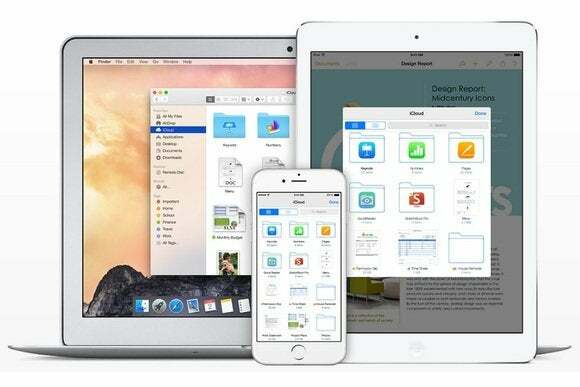 iCloud Drive is Apple’s version of Dropbox or Google Drive, a cloud-based storage system that lets you share files across multiple devices and apps. You can even sync documents with PCs running Windows 7. iCloud Drive is part of Apple’s new suite of “Continuity” features connecting OS X to iOS—iCloud is the backbone for the integration. Recently, Apple dropped prices for iCloud users to encourage its use and now offers 5GB for free and 20GB for $1 a month ($4 a month will get you 200GB). Apple recently started issuing refunds for subscribers who were forking over $40 a year for 20GB.